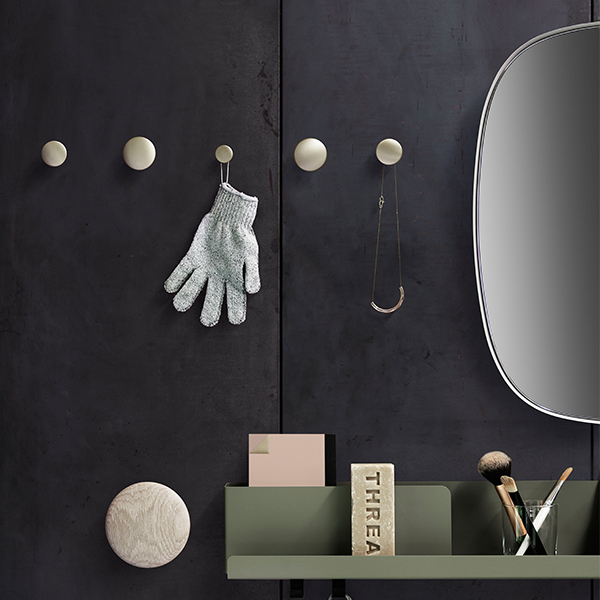 Muuto's popular The Dots coat hooks, designed by Lars Tornøe, offer a delightful way to hang your clothes, bags, towels and accessories – you decide what and where! 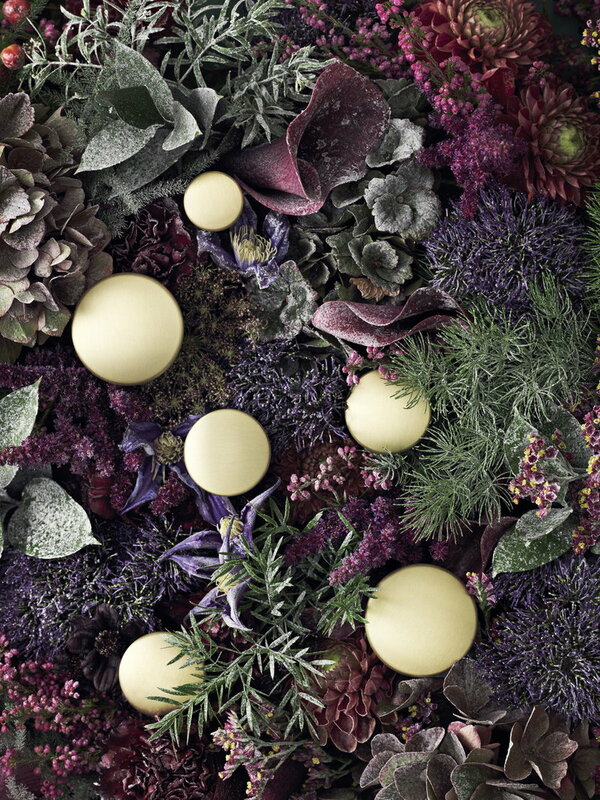 The Dots Metal hooks complement the colourful collection of coat hooks with an elegant shine. 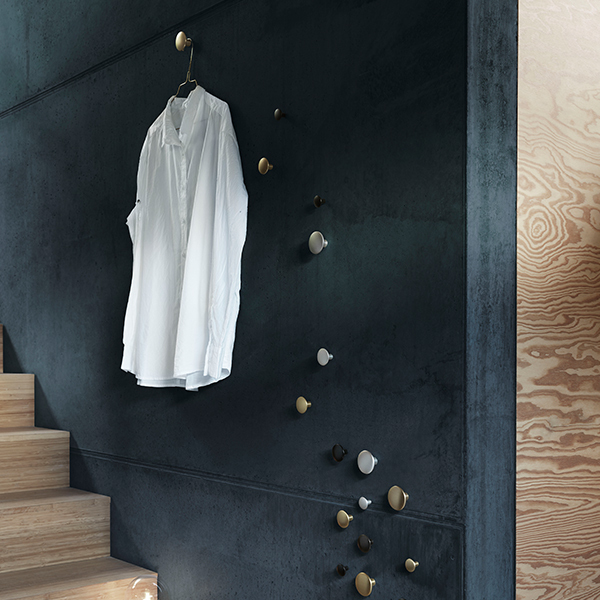 The Dots Metal hooks are perfect for clothes and towels but make stylish pulls for cupboards, cabinets and drawers, too. Available in solid brass, solid aluminium and stainless steel, the metallic hooks combine beautifully together and also create a fascinating contrast with the wooden members of The Dots family. 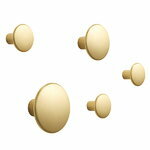 The set includes 1 large, 1 medium and 3 small hooks. Mounting screws included.